Rather than targeting a narrow range of skin problems, the SilkPeel® treatment offers the ultimate treatment for comprehensive skin repair and nourishment. The SilkPeel® Dermalinfusion is the first of its kind; the optimal combination of skin resurfacing and serum infusion, allowing it to repair and rejuvenate the skin with unprecedented potency. With its unique and powerful mechanism, the SilkPeel® is versatile enough to be used all over the body to eliminate blemishes, signs of aging, and heal your skin down to the cellular level. The SilkPeel® Dermalinfusion works on multiple levels of skin care, from microdermabrasion, vacuum massage, to the application of scientifically formulated serums. Its sophisticated system includes a diamond-tipped microdermabrasion device that polishes the skin, removing the damaged superficial layers and revealing the healthier, fresher skin beneath. At the same time, a vacuum system works to remove the detritus and dead skin, while stimulating circulation in the skin through a vacuum massage. Immediately after exfoliation, SilkPeel®’s infusion technology applies a specially formulated serum to the newly resurfaced skin. Because of the immediate application of the serum, the infusion’s effects are much more powerful and better able to reach deeper depths of the skin. The SilkPeel® treatment’s precision allows it to be a gentle, yet potent treatment, and it’s comfortable enough that it requires no recovery or downtime. After the treatment, some patients report some redness and a tight feeling to the face, but this is just a temporary side effect that should disappear soon. 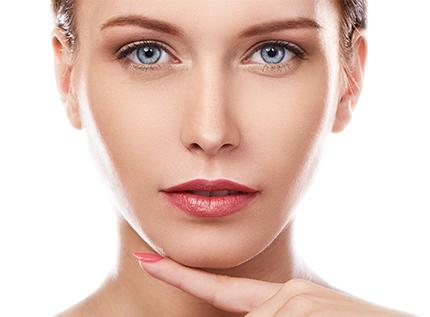 To learn about the benefits of the SilkPeel®, contact Dreyfuss Plastic Surgery for a consultation.